Enjoy the best inspirational, motivational, positive, funny and famous quotes by Arnold Beichman. Use words and picture quotations to push forward and inspire you keep going in life! 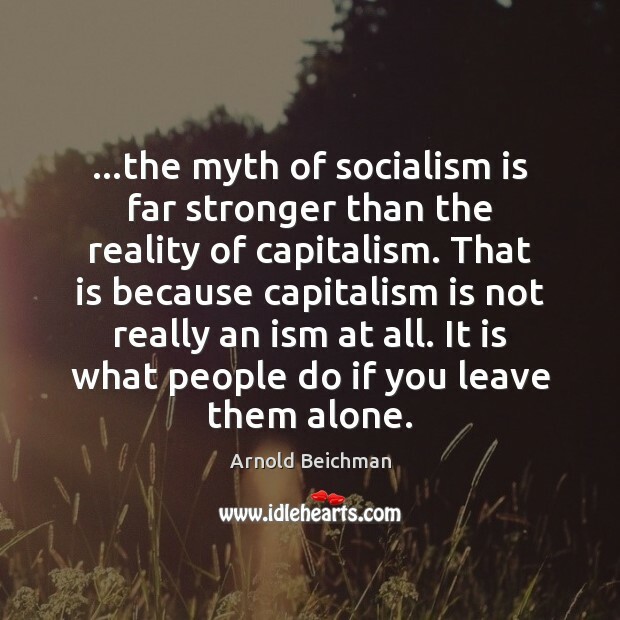 ...the myth of socialism is far stronger than the reality of capitalism. That is because capitalism is not really an ism at all. It is what people do if you leave them alone. 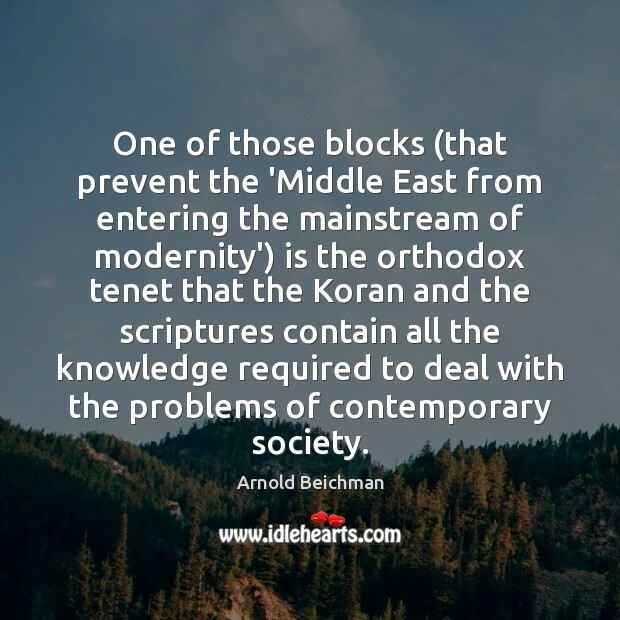 One of those blocks (that prevent the 'Middle East from entering the mainstream of modernity') is the orthodox tenet that the Koran and the scriptures contain all the knowledge required to deal with the problems of contemporary society. 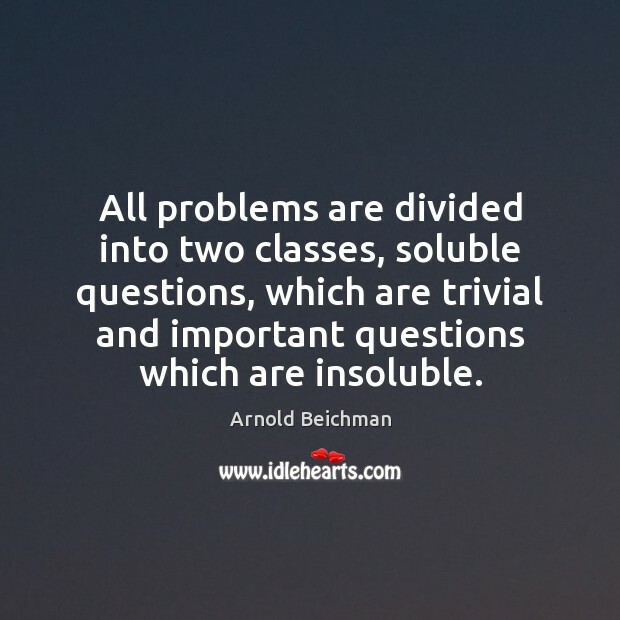 All problems are divided into two classes, soluble questions, which are trivial and important questions which are insoluble. A personal story of the horrors that Poles lived through during World War II. 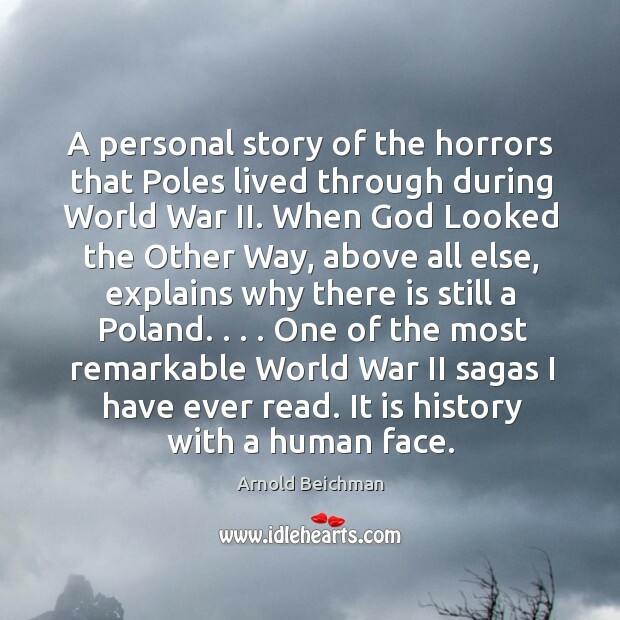 When God Looked the Other Way, above all else, explains why there is still a Poland. . . . One of the most remarkable World War II sagas I have ever read. It is history with a human face.